The first step to home business success is to be prepared. Put yourself in a position wherein you have the best chances for success. You should do this by gaining a thorough understanding of your business plans, financial situation, family and home conditions, as well as your emotional and mental state in life. Remember, part of your preparation is to also do some research on how business loans work and how you can make them work for you. Your budget and financial needs should be clear before moving on. Try learning from small business websites, such as the U.S. Small Business Administration. Step 2: Look for business loan companies. The next step is to find companies that can provide you with all of your needs. The most convenient way of looking for business loan companies is to use the Internet. Instead of starting with your search engine, though, you should start at websites such as the Better Business Bureau and the Federal Trade Commission, which have list of some of the more reputable and reliable lenders. Contact some of the companies you are considering and ask about what they can offer you. Be patient and take some time when negotiating with lenders, so you can be sure that you are going to get the best deal possible. Compare and contrast some of the deals that have been offered to you and determine which one is the best. Remember, your decision should also be based on how comfortable you feel in dealing with the company and how well they can meet your needs for starting your home business. 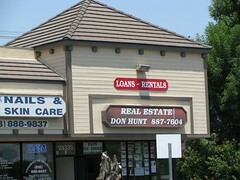 Finding the right lender entails a lot of work. First off, you need to make your own assessments of how much and what you need to start up a business. It will help if you can learn more about the online business industry and how it moves. This way, you can set the needed amount after weighing the risks and possible returns, as well as allocate funds where your business needs it most. You can also use personal belongings, such as expensive jewelry or even the title of your house and lot if you ever decide to take a loan. This makes this items collateral and some loan company actually require you to provide something as a collateral just to make sure that you will pay your loan in due time. Also make sure that you are able to pay the loan so that you will not be forced to forfeit ownership of any of your personal belongings. Remember, loan companies may be friendly, they are strict about what they do and about their loans, they have the power to reject or approve a loan. Even if they do not require a collateral, they still need you to present something in order for them to be convinced that you need and deserve the loan.